Defending champion CSKA Moscow brought an end to the undefeated season of Winterthur FC Barcelona with a convincing 76-57 home victory in the Russian capital on Wednesday to forge a first-place tie in Group C. Both teams are now 5-1 with the halfway mark of the regular season coming next week. Barcelona lasted about 25 minutes before the CSKA defense went into another gear and limited the visitors to just 16 points in the final 15 minutes to put the victory away. 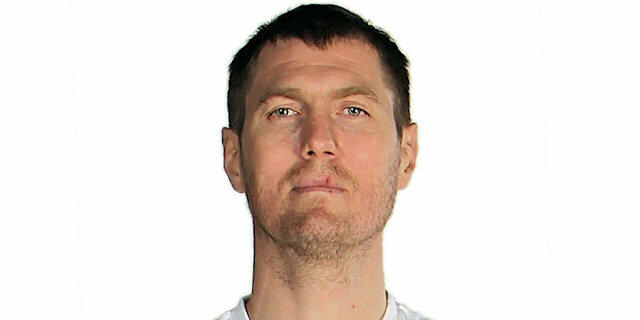 David Andersen was deadly inside and out for CSKA and finished with 21 points, including 3 three-point shots. Trajan Langdon fired up 14 points and led the winners with 7 rebounds. 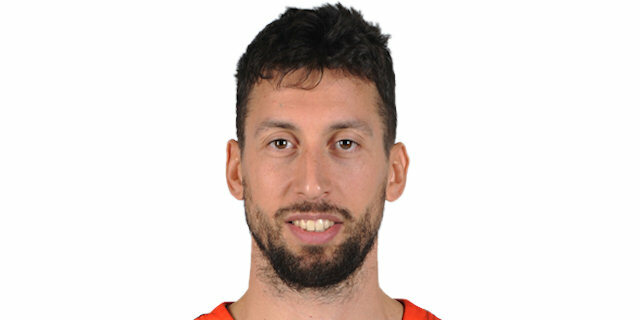 Theodoros Papaloukas added 12 points and J.R. Holden 10 for CSKA. 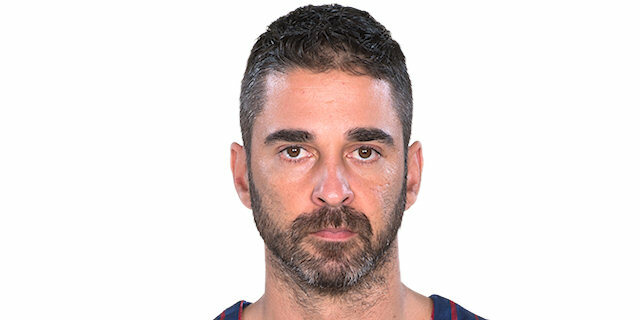 Gianluca Basile was the big gun for Barcelona with 14 points, while CSKA's defense held Euroleague leading scorer Juan Carlos Navarro to 12. Roko-Leni Ukic added 10 for the visitors. Barcelona came out with two new starters - Ukic at point guard and Fran Vazquez inside - who paid early dividends. Ukic had a layup and a free throw as Barcelona bolted ahead 0-5, in part because Vazquez got the first of what would be his 3 blocked shots in the quarter. Andersen finally drew a foul on Vazquez while scoring and hit the extra free throw to get CSKA going. Holden quickly had it tied, 5-5 with a jumper. The defenses were everywhere, but Basile broke free for a pair of shots from downtown and Navarro a breakaway layup as the visitors moved ahead 7-13. CSKA settled down late in the quarter as Matjaz Smodis got to the line, Langdon hit his first jumper and Papaloukas rolled in for his second layup. Basile got one more basket for Barcelona, but time was left for Holden to drive and tie it up, 15-15, after 10 minutes. Lakovic entered and started the second quarter with a triple that prevented CSKA from taking its first lead yet. He was back with another strike from the arc a minute later to make it 17-23, but Smodis answered from the same spot. It was CSKA's turn now, as Langdon stole for an uncontested layup while he and Andersen drilled back-to-back triples to complete an 11-0 run that vaulted the hosts in front, 28-23. Rodrigo De la Fuente broke the scoreless spell for Barcelona with a free throw, but Andersen and Alexei Savrasenko answered baskets by Vazquez and Kakiouzis with hook shots to keep CSKA ahead 33-28. Savrasenko's next basket came with a free throw that he made and Holden buried a triple to give CSKA a high lead of 39-32 before Lakovic finished the quarter as he started it, with a bomb from downtow, to leave a 39-35 halftime score. Navarro drove for a basket and Basile hit a free throw to narrow the difference right after halftime. Holden remained hot from downtown, but Navarro matched him to pull Barcelona within 42-41 midway through the quarter. That would be Barcelona's last sniff of the lead, however, as Langdon went to the line for 2 points and Papaloukas took over with a put-back offensive rebound and a fastbreak layup. Thomas Van Den Spiegel closed an 8-0 run with a hook shot to open a 50-41 difference. Barcelona could only get to the foul line, and even there Navarro had his first miss of the season, after 23 free throws made, another sign it was not his team's night. Andersen preserved CSKA's surge with an inside move and an outside jumper that left the hosts in charge, 54-47, after 30 minutes. Basile opened the fourth quarter with his third triple to make it 54-50 and give the guests new hope. After a tense minute, however, Andersen scored an drew Vazquez's fourth foul, adding the free throw. De la Fuente answered with a layup, but after a silent minute or more, CSKA put the finishing touches on the victory with a huge 12-0 blast over the middle of the quarter featuring 5 points by Langdon, a triple by Andersen and layups by Savrasenko and Anton Ponkrashov. That made it 69-52, and even though Andersen would add an extra strike from the arc soon, the outcome was clear already. The champs were joining Barcelona in first place in Group C.
"This game was not so important for our qualification to the Top 16. It is all about the names - everybody from CSKA and Barcelona understood how important it was to win that game of principle today. We made many mistakes at first, received three blocked shots from Vazquez. CSKA didn't control the situation on the flour. But then my team was smart enough to start thinking again. And after some ups and downs in the first three quarters we finally were consistent in the end. I am happy with our defense in the second half - it was brilliant. We were excellent on Navarro on the defensive end. My players didn't allow him to play pick-'n'-rolls with Marconato as they usually do. Barcelona is a team of shooters and when they are stopped, they are not that productive. So we focused on the offensive rebounds to give them fewer chances to attack." "The destiny of the game was decided on the last minutes. But we're not as bad as the final result shows. I am even satisfied with our first three quarters, but not the last one. Maybe we could be better with Kasun, who stayed in Barcelona because of the injury. 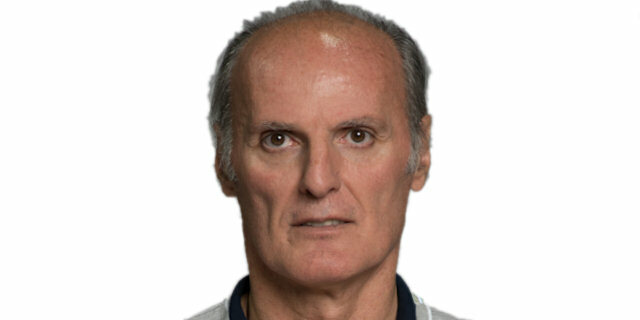 Our big man Marconato played well on defense, but we needed more points from him." "At halftime our head coach didn't say any special words: we understood everything ourselves. We were ready, they didn't surprise us. Luckily, our defense was fantastic. We stopped their extremely dangerous offense. We knew they had scored with very high percentages in previous games and drew the right conclusion." "It was a much tougher game than the final score shows. We really played great defense. That was the main reason why we beat them: defense won the game. Our centers were pretty good: David Andersen was really big on offense, Alexey Savrasenko on defense. I know that personally I can play much better. But the season is long, so I think we will only progress together as a team." "The difference at the end is not real, but we didn't have good finish. They are a better team today, but not by 20 points. CSKA was great, everyone played good defense. I can't distinguish anyone, name one player who beat us - they beat us as a team." "The game was close until the last minutes. But then we lost our rhythm and CSKA never looked back. It is not the right time to speak of my role in the team. It is not special: I don't evaluate myself as the symbol of the club. I've just stayed there for a longer period of time. And as others do, I want Barcelona to be the best. We have some serious troubles in the Spanish League, so we have to become stronger as a team."